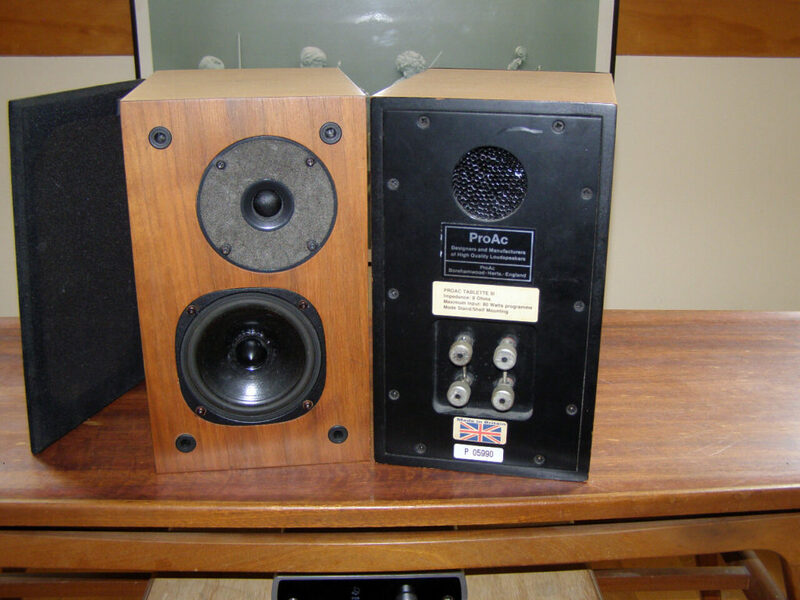 The ProAc Tablette III speakers set a new reference standard for small monitor loudspeakers, meeting the considerable challenges inherent in miniature loudspeaker design. Few small loudspeakers exist which are able to reproduce sound at a truly monitor level with a nominally flat response. During those times, possibly only the ProAc Super Tablette had been successful in addressing design problems of colouration, inefficiency, hardness and exaggerated midrange. The Tablette II version too had proved hugely successful, but advances in materials and technology led to the development of the Tablette III. The ProAc Tablette III had a unique new bass unit with a revised crossover that produced a new smoothness and a more transparent performance, with even lower colouration than the Tablette II. It also excelled in the areas of bass, detail, speed and attack, producing a soundstage of impressive width and depth. Exhibiting truly remarkable dynamics, the ProAc Tablette III is an incomparably coherent and beguiling performer. Bass/Midrange Driver……………………4.5 inch (114mm) diameter, specially coated cone. With phase plug.